Your wedding shouldn’t be a stressful time, but rather a time to celebrate the love you share with your partner surrounded by your close family and friends. AAA Rents is one of the top wedding planning companies in the area and can help you throughout the planning process. 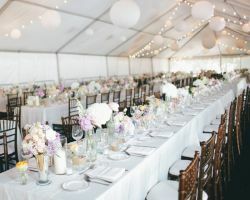 From designing a theme to acting as the coordinator between you and the vendors and then executing the entire thing, this company truly does it all for their clients to make their wedding the best day possible. Limelight Expressions is the home of the best Omaha wedding planners, which is why it is so popular among local couples and couples planning a destination wedding alike. With completely customizable services, you can hire these professionals for your very specific needs or for broader purposes. With in-person meetings and open communication, you will have the knowledge and experience of this company at your fingertips to create an unforgettable event. There is no better way to ensure the success of your wedding than by booking this company. Posh Event Productions LLC uses an unbeatable formula and checklist when planning events in Nebraska that always result in an exciting and successful event. 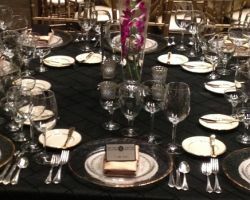 While they have the basics perfected, they always make sure the event is unique and personalized to their clients. 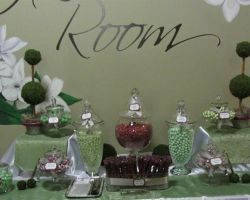 These professionals can make your event and party dreams come to life in an unforgettable way. Contacting the company is the best way to discuss the style you would like your event to have as well as prices and how this company can make it happen. While most couples are capable of planning a wedding themselves, there are immense benefits that come with hiring a wedding planner in Omaha, NB that simply cannot be beat. Special Occasion By Design offers to make the decisions, the planning and the big day stress free for the couple, a service that is priceless. From designing the event to budget management, problem solving and event choreography, hiring this company ensures a successful and fun wedding day that you will remember for the rest of your lives. 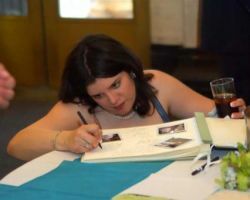 Carrie of Carrie Dayton Event and Consulting has a passion for creating beautiful custom weddings for her clients. This certified event specialist knows that for her clients, this day is about focusing on the love they share with their partner and should not be about stressing over the catering. Carrie and her team treat their clients like celebrities by taking care of all of the details and things behind the scenes so they can focus on what is truly important: their marriage. Kimera Wedding & Event Planning is a company that truly understands the needs of couples when it comes to planning the biggest day of their lives, which is why they offer packages to suit couples at any stage of the process. From planning the entire day based on your wedding vision to guiding you through the process or simply acting as the organizer on the big day, this company does whatever possible to make the experience enjoyable and stress-free for the couple. Finding a wedding consultant who personalizes their service as well as truly cares about their clients is one that you should hire to style your wedding day. D-Tales Event Designers-Planners will not only help you find the right vendors for your event, but they will design a day that you will love and remember for the rest of your life while also staying on budget. With specialized services for weddings held in different seasons and at different times of the day, you can be sure that your event is in capable hands.